The Baby Tooshy Portable Diaper Caddy will make life easier because it will keep you organized, with all you need at your fingertips. 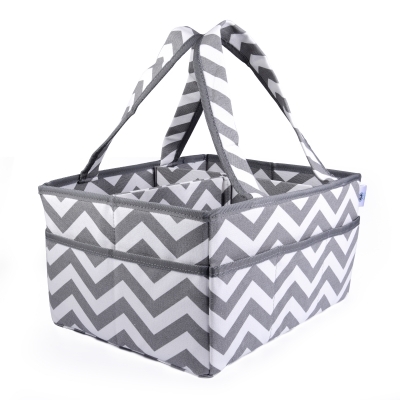 It's strong, durable, and large enough to carry 60+ diapers, wipes and other essentials. This is great to keep moms prepared with what their baby needs by having everything on hand, and in 1 place! New moms typically have a lot going on and this is perfect to stay organized. Love the design and grey color, gender neutral and will match any home decor. Seems very sturdy and durable. tons of pockets/compartments. This portable diaper caddy will keep everything from wipes, lotions, and diapers tidy whenever you need them. You can move room to room with this versatile pocketed caddy.